Sudden cardiac arrest is a leading cause of death worldwide. It affects individuals from all walks of life, age, and gender at an alarming rate of more than 1,000 cases every day in the USA. Even when CPR is attempted – which occurs in only half of the time – less than 2 in 10 lives are saved. Our goal, at Resuscitation Therapeutics, is to develop novel therapies and strategies to markedly increase the number of lives saved by understanding and treating abnormalities that occurs in the heart and other organs when cardiac arrest occurs and CPR is performed. 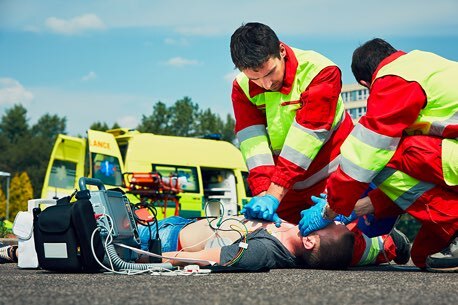 Current resuscitation efforts emphasize high-quality CPR and optimal post-resuscitation care delivered through bystanders, emergency medical services, and hospitals.